Too busy for spa? Don’t worry. Now you can get a relaxing massage right in your own home or office with a shiatsu massage pillow with heat. Shiatsu massage pillow with heat is a great way to relax and relieve muscle tightness and soothe aching muscles. So if you want to enjoy shiatsu massage anywhere you like, order one now. Do you want to enjoy a soothing Shiatsu Massage wherever you go? 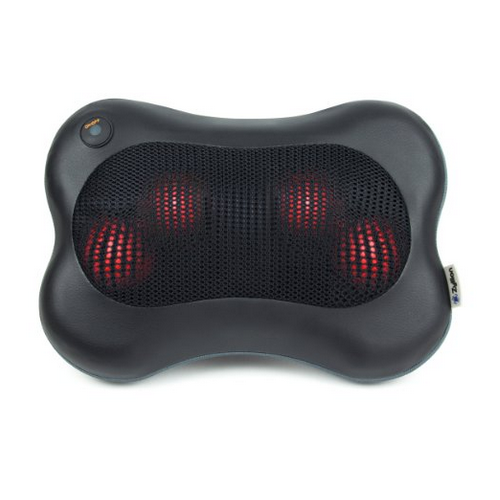 If yes, you cannot miss the Zyllion Shiatsu Massage Pillow with Heat. This ultra compact, ultra slim massage pillow features 4 Deep-Kneading Shiatsu Massage Nodes to help relax and relieve muscle tightness. The heating function soothes aching muscles. Thanks to the no-fuss adjustable straps, you can secure the massage pillow to your favorite chair. Also equipped with an Overheat Protection Device and programmed with 20-minute Auto Shut-Off for safety. Tired of the massagers that felt awkward around our neck, arms, and legs? Turn to the Shiatsu Neck & Back Massager Pillow from LiBa. This ergonomic U-design back massager fits perfectly against the contoured shape of your neck, lower & upper back or just every inch of your body wherever you need relief. You can activate the hot stone massage feature with the push of a button. Can use in the car, office, and home. Shuts off automatically after 20 minutes of use. 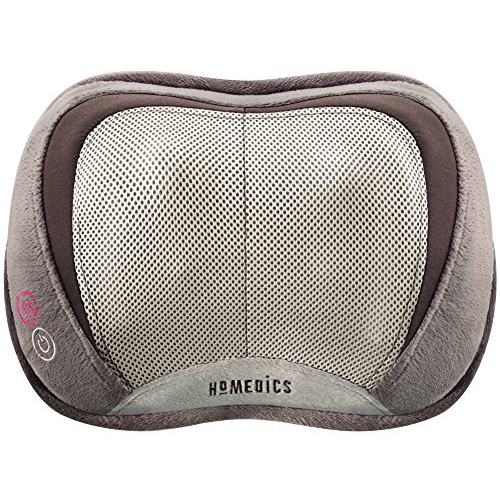 Relax muscles and relieve pain with the the HoMedics 3D Shiatsu and Vibration Massage Pillow with Heat. 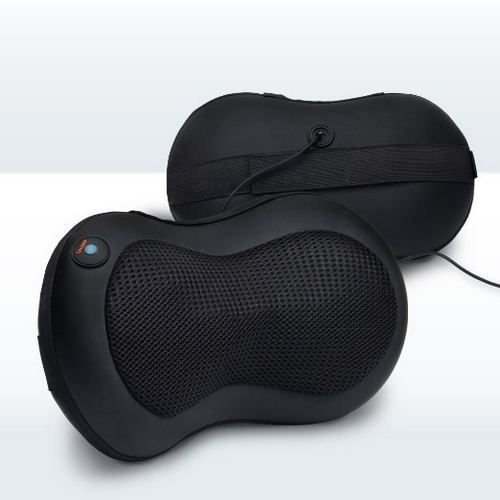 This massage pillow uses a 3D technology that delivers circular kneading plus inward and outward motion to ensure a more authentic massage experience. It also offers heat option to soothe your tired muscles and invigorating vibration to loosen tight muscles. Can use for the neck, back and shoulders. Finally, an effective massage pillow that will massage, relax, sooth and relieve your neck, shoulder and back pain. Gideon™ Shiatsu Deep Kneading Massage Pillow with Heat features four rotating massage nodes that penetrate deep into your back to loosen tight muscles. The 3D counter-rotating balls deeply penetrate your tissues and muscles. It can be used anywhere in your home, office or car. Easy-to-use corded hand control for customized experience by switching between clockwise penetration and counter-clockwise. Featuring 4 soft, springy massage head with built-in heating function, the Nekteck Shiatsu Deep Kneading Massage Pillow is an effective way to soothe and invigorate sore muscles. The massager head can be directed clockwise or counter-clockwise for your need. With the portable design, you can carry it easily and use in the car, office, and home. Automatically powers down after each cycle (20 minutes).